Alibaba is pushing its Linux-based mobile operating system (OS), Aliyun, to become the “Android of China” and provide another choice for smartphone makers. A report from Sohu IT on Monday cited Alibaba Group’s chief strategy officer Zeng Ming as saying the Aliyun OS is gaining traction among mobile phonemakers. “We want to be the Android of China and we have quite a lot of new partners in line,” he said. According to Zeng, the total number of smartphone vendors adopting Aliyun will increase to five from the current two, namely K-Touch and Haier, by the end of the year. However, he declined to reveal the names of other vendors. “If I were a mobile phone vendor and my only choice is Android, I will be quite scared. Any company will want to have at least two suppliers,” Zeng said. The original Android OS from Google faces several challenges in China as Google Search, Google Maps, and Gmail functionalities are limited in the country, he said. 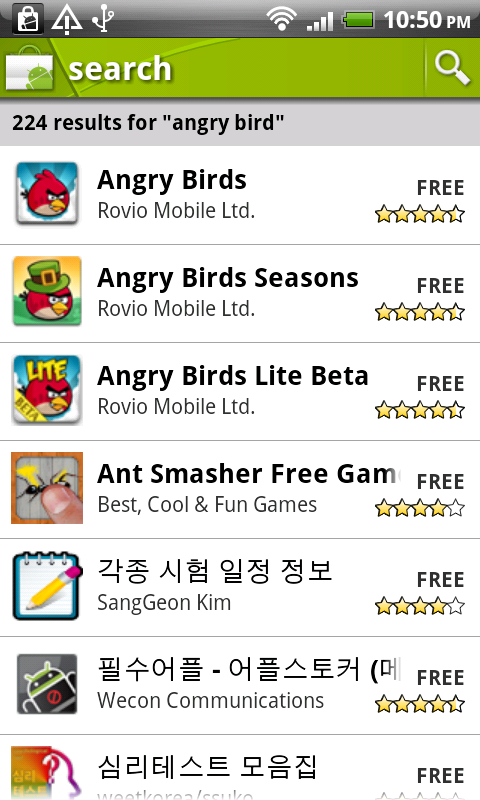 That is why Android is not able to provide a good user experience while Aliyun can, he added. However, Sohu IT noted several handset makers believe it will be difficult to completely replace Android. This is due to the mobile OS’s ecosystem of phonemakers and app developers, it said. 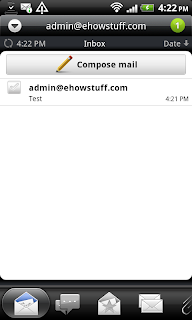 In this article i will guide you on how to configure your email on an Android device. 3. Select Incoming mail Protocol. 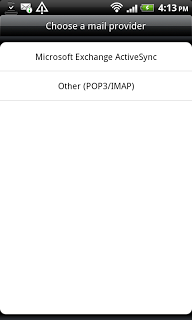 In this case, Select IMAP. 4. Please fill in Outgoing server setting. 5. 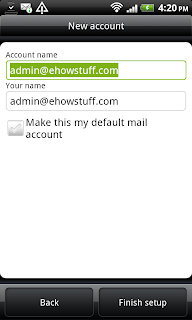 Verify your account is correct and if you want to make this email as a default, please check box. 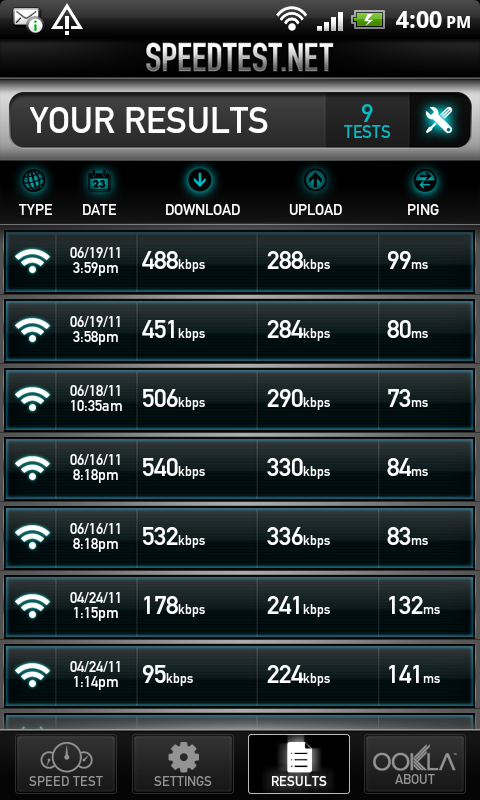 In this article, i will show you on how to test the internet broadband speed on your android smartphone using speedtest apps. 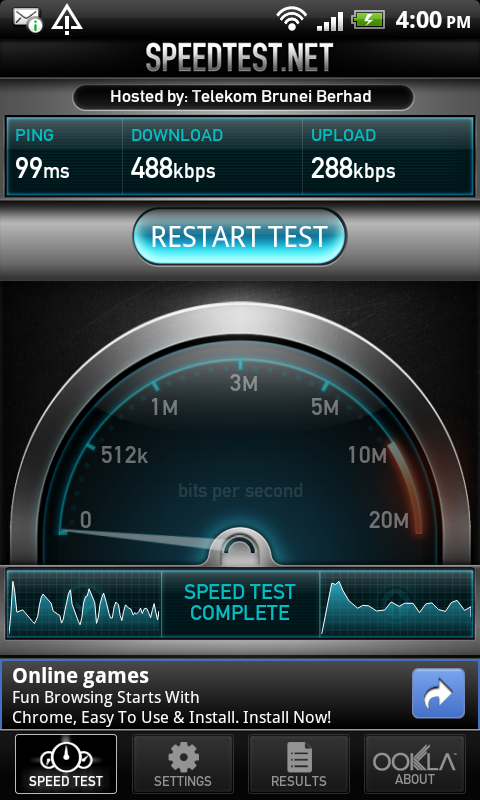 Speedtest.net Mobile is a android version of the most popular broadband speed test on the internet. 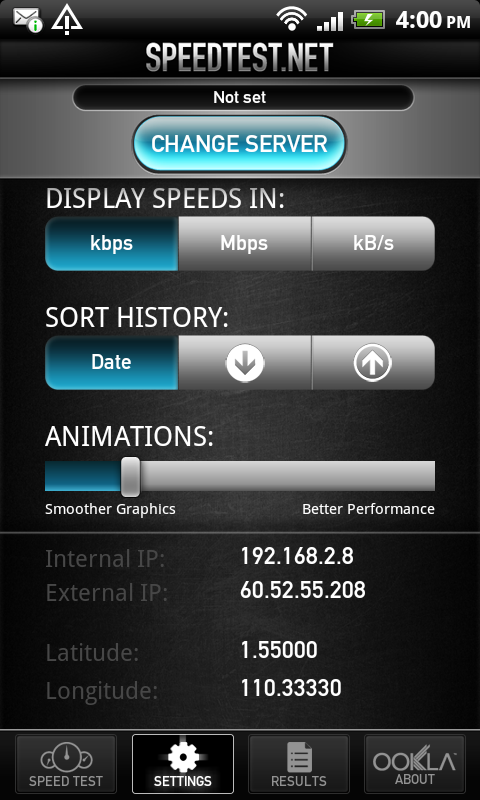 It’s use to measure the network speed on your android device. 1. 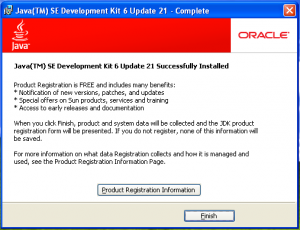 Once installed, click “Begin Test” to start. 2. 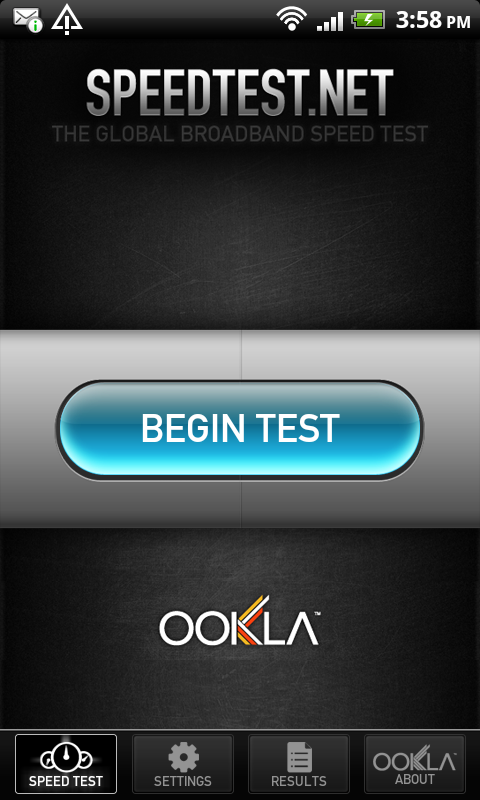 Click “Restart Test” if you want to restart the network speed test. 3. If you want to change the server, click “Setting” then click “Change Server“. 4. Select prefer server location. Click “Select Server“. 5. Click “Result” if you want to see the test result and the previous result. HTC has confirmed that they have released the Android 2.3 Gingerbread for HTC Desire HD and HTC Incredible S. If you see at HTC website, the build number for for HTC Desire HD is 2.36.405.8. But at the time i wrote this post, the current update is 2.37.707.3. 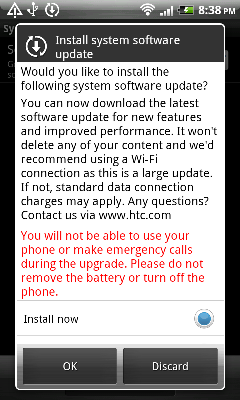 Follow below stesp to perform update on HTC Desire HD. 1. Your phone will receive a notification of FOTA update when it is made available. Click Ok to proceed. 2. 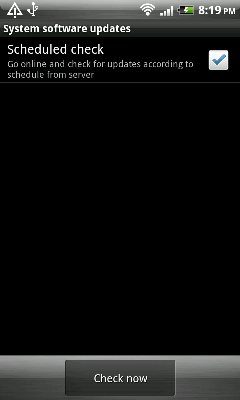 The size of this update about 100.99MB. 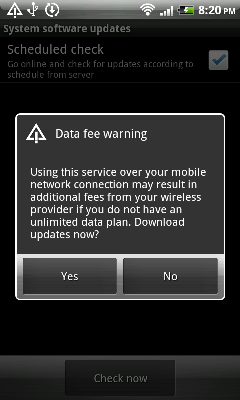 It will ask you whether to proceed download or not. 3. 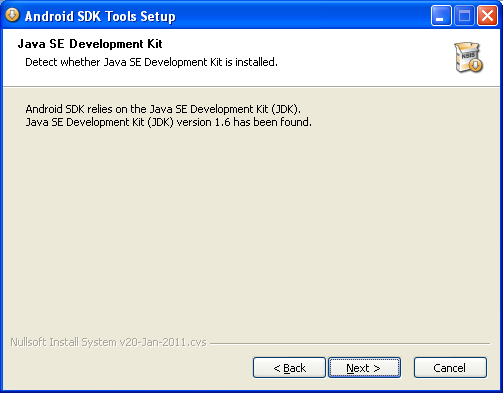 After downloaded the software, you will be ask whether to install or discard the installation.Click Ok to proceed. 4. 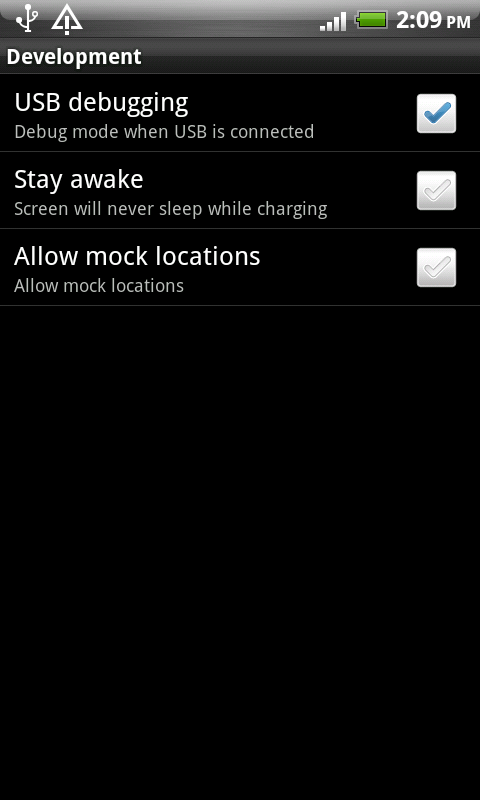 During The installation, Your phone will power off or shutting down automatically. 5. After installing the update, you can confirm a successful update by confirming the build number, 2.37.707.3. 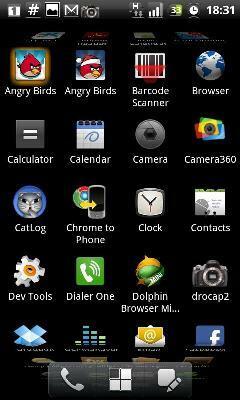 From the Home Screen go to MENU> Settings> About Phone> Software Information> Software number. 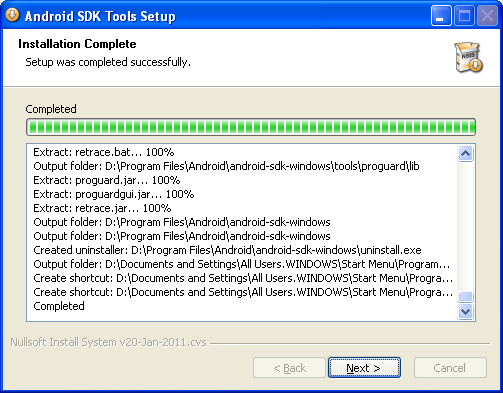 There is easy way to check whether your android install with latest software or not. 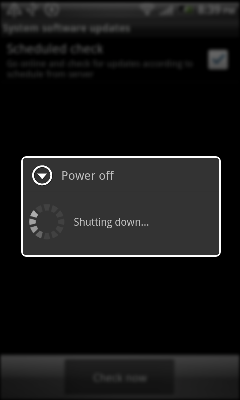 Before start, make sure you have connect your android phone to internet using mobile data or Wi-Fi service. 5. Click the “Check now” button. 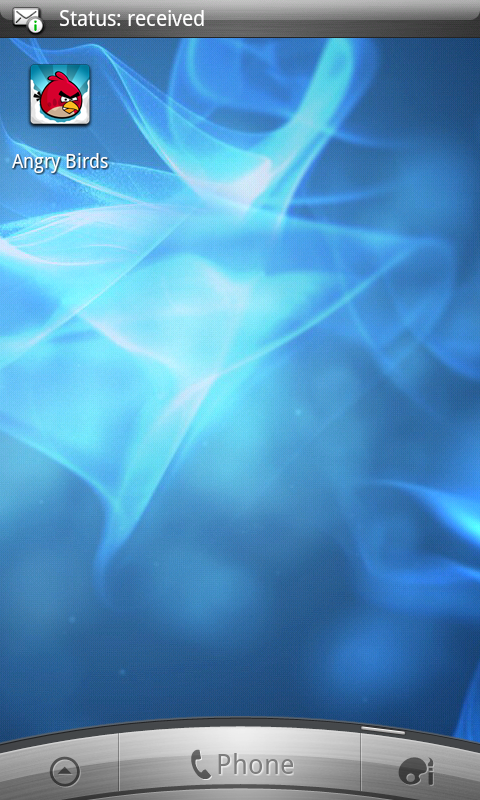 The phone will now checking the updates. 7. If System update available, you will be ask whether to proceed the download or not. 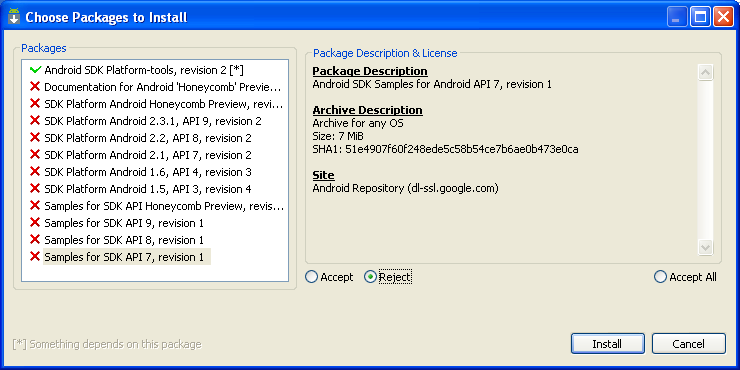 ADW.Launcher, is a Opensource home replacement application. 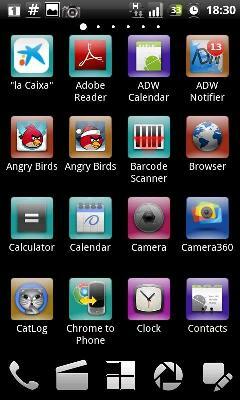 Meanwhile the ADWLauncher EX is a highly customizable home replacement application that require you to buy it before use. 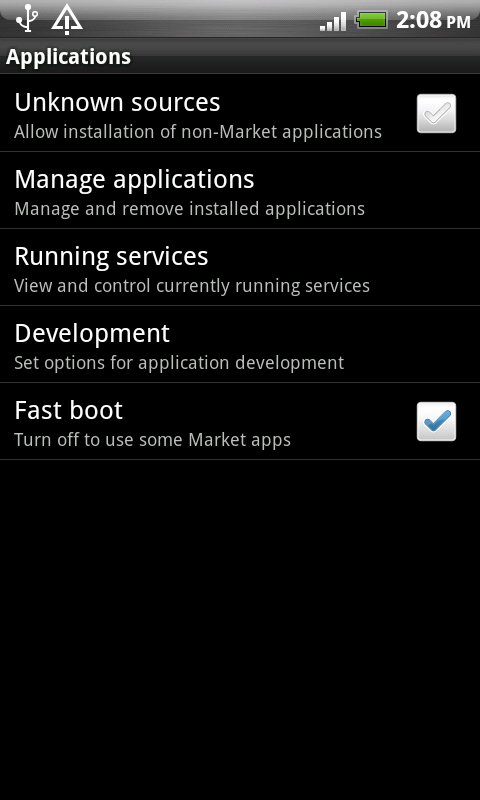 It’s beyond tweaking your android desktop. What is a home replacement application? 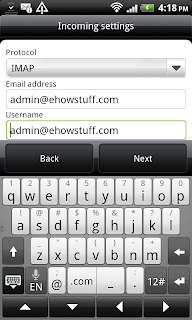 Is an normal android application that will run when you press your android phone’s HOME key. It’s usually what people know as the “android desktop”. b) Different desktop transitions: new animations while navigating through your desktop screens. Try them all, they’re crazy!!! c) New Icons configurations/look and feel: Tweak your desktop icons, change its sizes, add coloured backgrounds, change font size, color, etc! 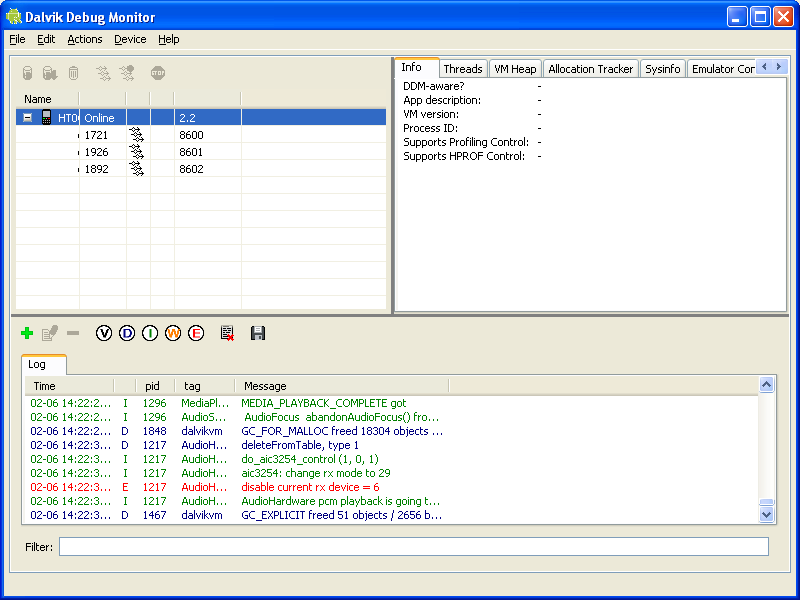 d) New fast presets mode: Quickly change the whole desktop configuration by 1 click! 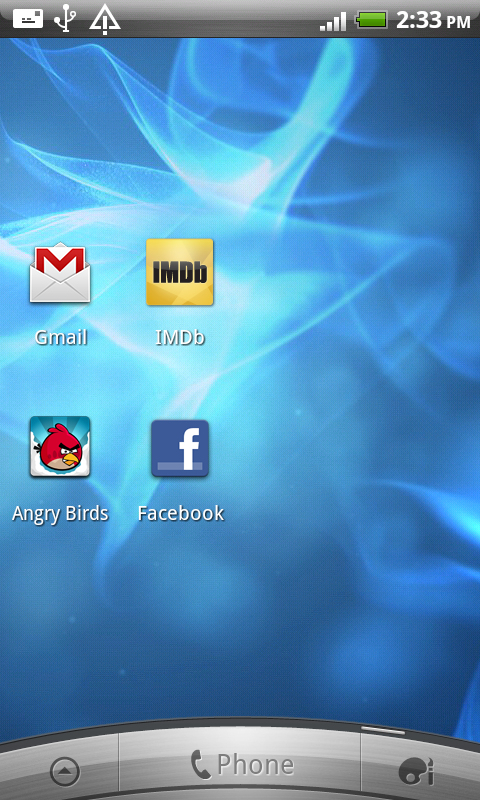 e) Editable desktop icons for applications, shortcuts and folders! HTC is rolling out a software update recently for the Desire HD. It’s an Over the Air (OTA) update weighing in at 46.59MB and will bring up the software version on the Desire HD to 1.84.707.2. 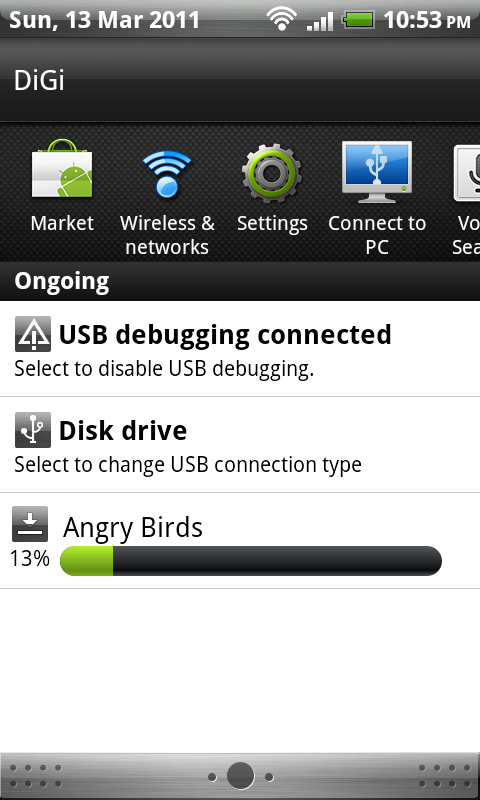 Unfortunately, this OTA update is not an Android 2.3 Gingerbread update as many Desire HD owners are hoping for. 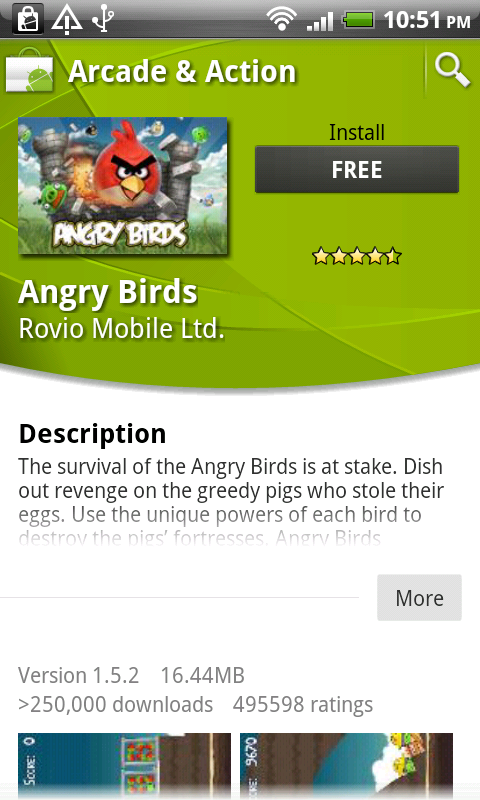 However, it will take your Desire HD with Android Version 2.2 came with Android Version 2.2.1. It’s purposely to improve the system performance and enhances the camera feature. Please follow below steps to update you Desire HD. Click Ok to proceed the installation. 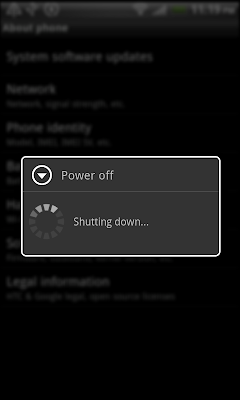 After the installation finished, the phone will automatically power off and shutting down. 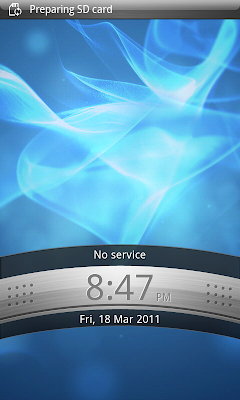 Then for a few seconds, it will automatically power on by it self and bring your Desire HD to Version 1.84.707.2. Note : If you aware of the installation time on the captured screens, It’s only take approximately 30 minutes to perform this OTA updates. 6. 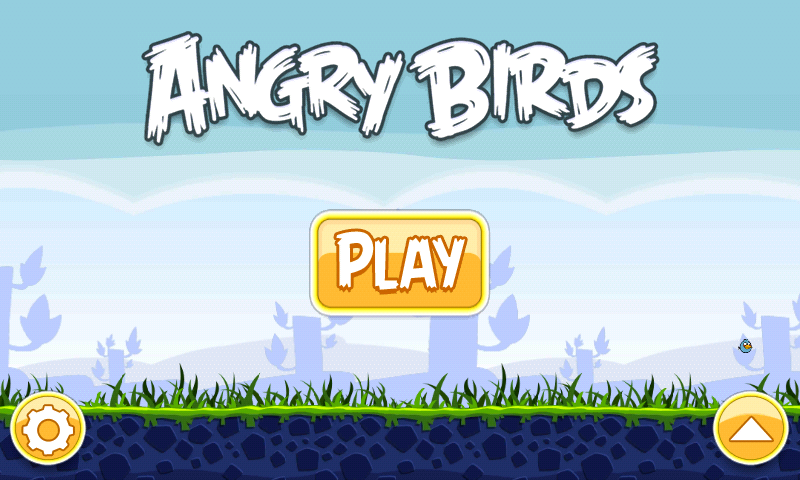 Click Play to Continue and enjoy playing Angry Birds on your android SmartPhone. 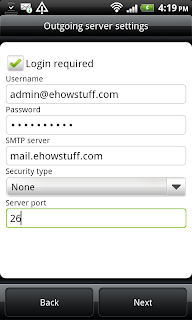 Download YouTube – TubeMate from Android Freeware servers, tested and virus-free. If you already installed the Tube mate please follow below steps. 6. Select resolution for you video. The video size will based on selected resolution. It is recommended that you select medium resolution for medium size of video. 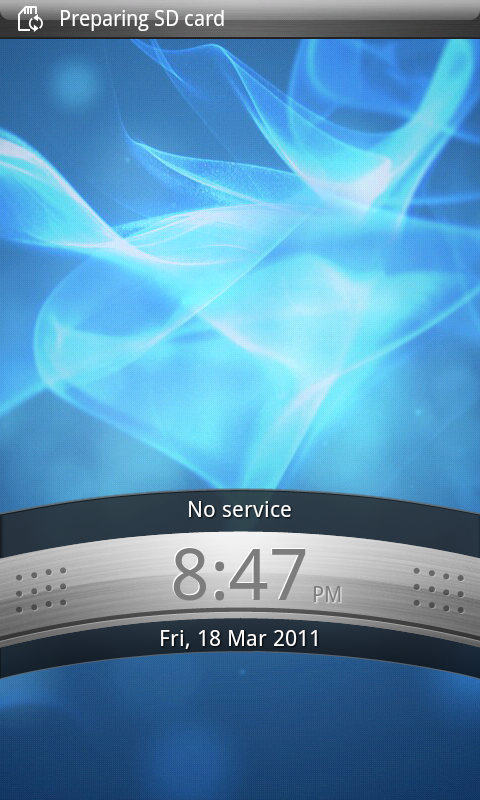 On this post, i will share with you on how to capture the perfect sceenshoot on HTC Desire HD. 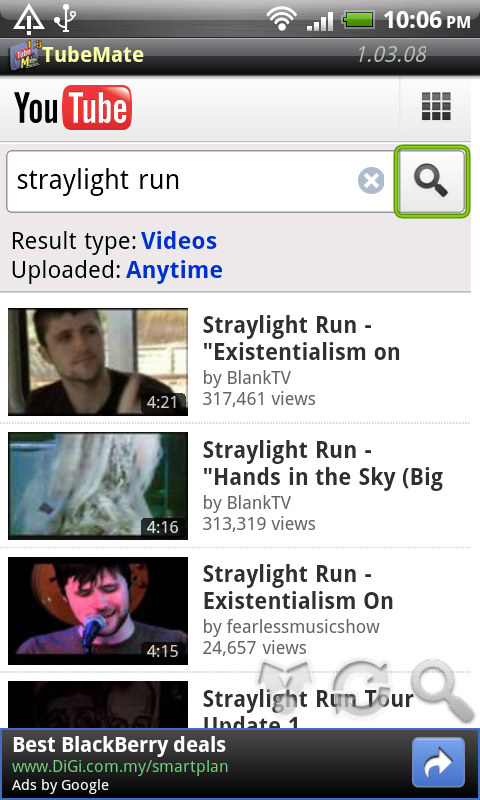 This steps is not only for Desire HD, It’s also can be used by other HTC Android Phones. On your Computer, please follow these steps in sequence. 7. Install HTC sync to get the correct Google USB driver works. 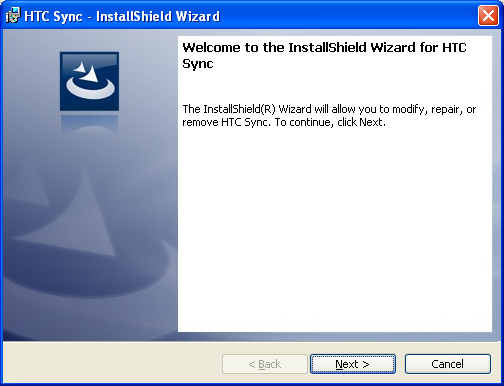 After completely installed the HTC Sync, It is optionaly whether to start the HTC Sync or not since the current purpose of this guideline is just want to get the Android USB devices installed correctly. 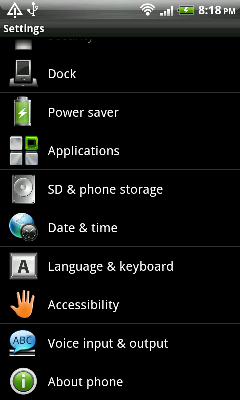 All above steps works perfectly with HTC Sync version 3.0.5511 that was released on 2011-01-11. 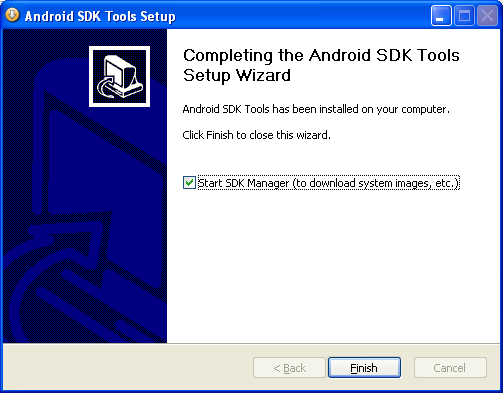 For information, I have tried to install the Google Android USB driver using Android SDK manager as below screen captured but did’nt work. 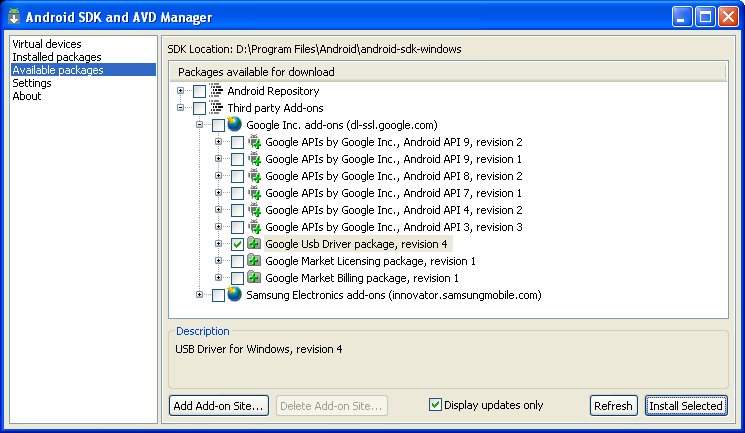 At the moment, the latest revision (revision 4) of this Google USB driver was released on December 2010. Its may be works on the future revision. 1. Please go to Menu –> Settings –> Applications –> Development –> USB Debuging. 2. Make sure USB Debugging is checked.